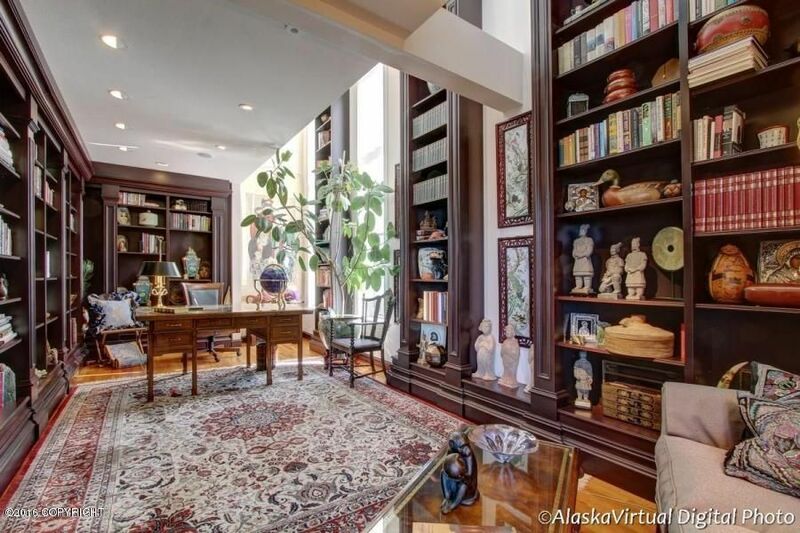 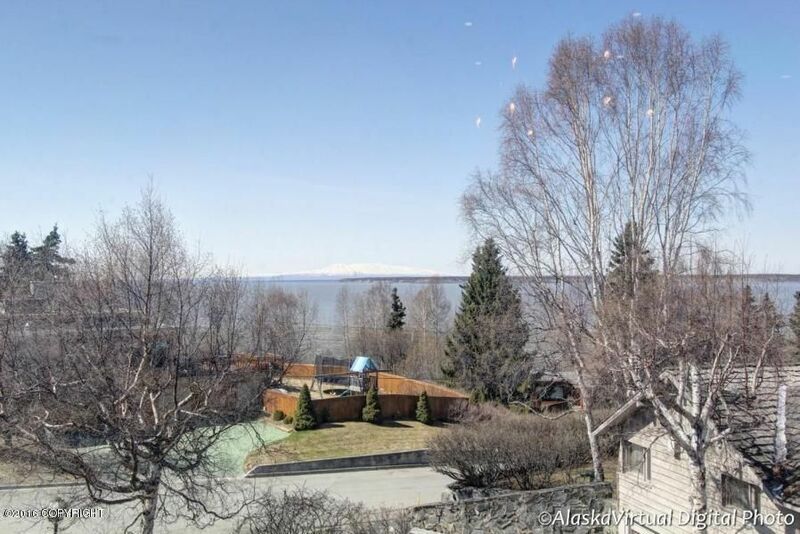 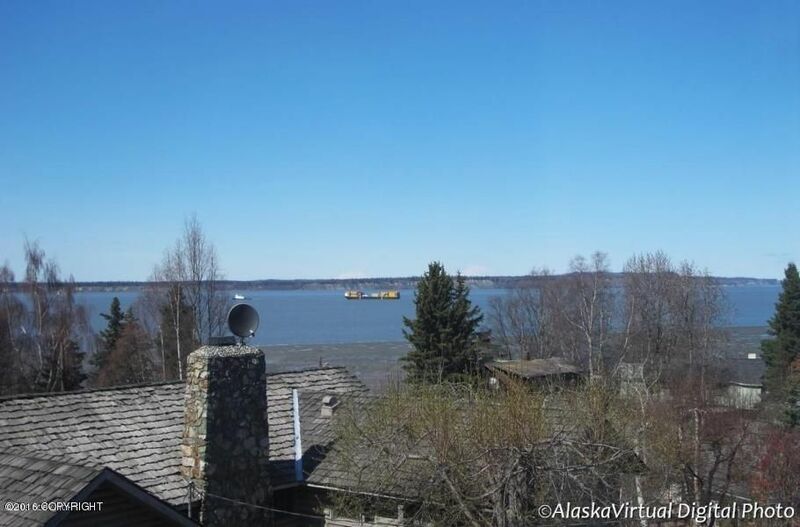 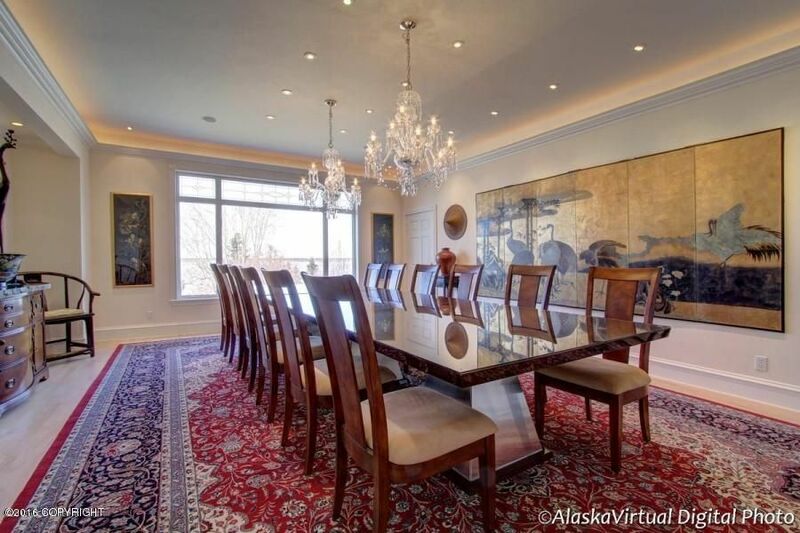 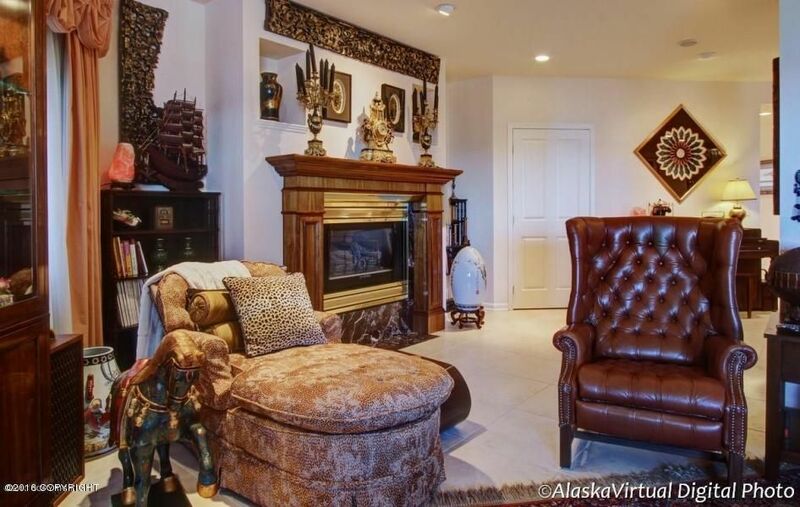 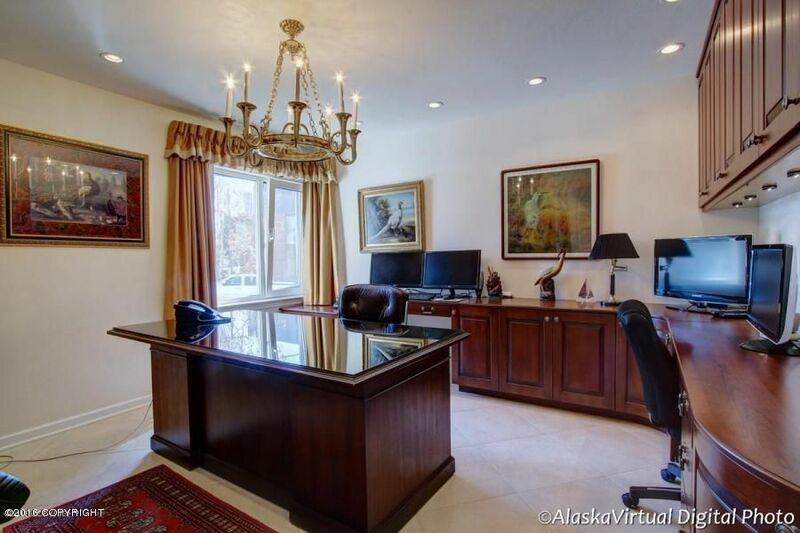 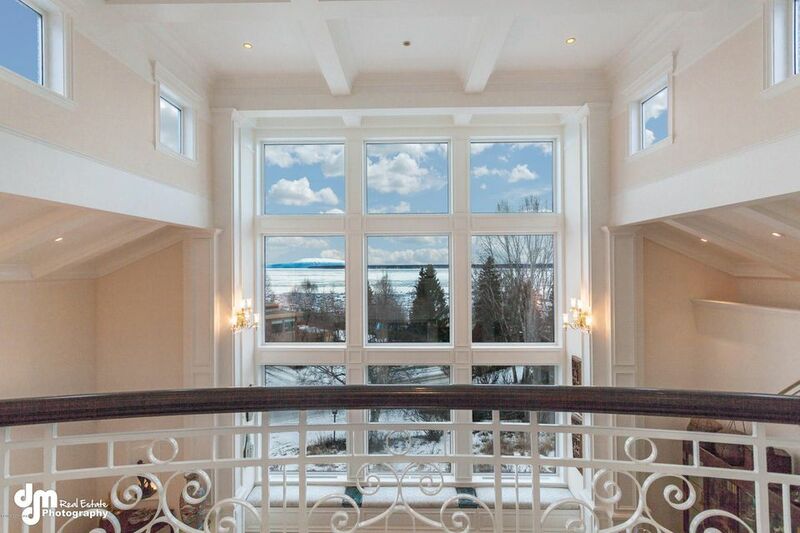 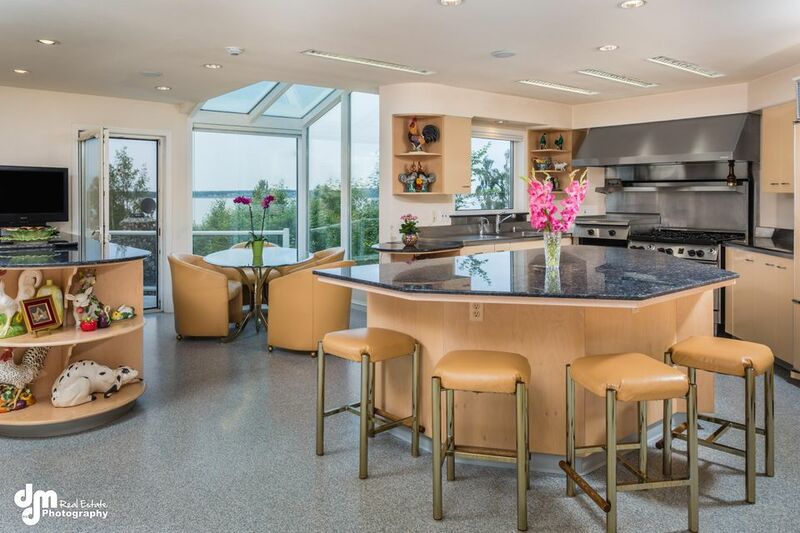 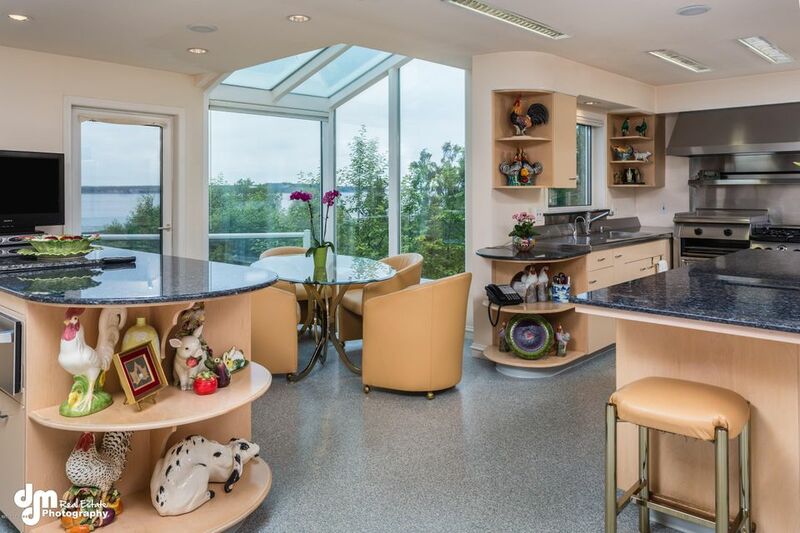 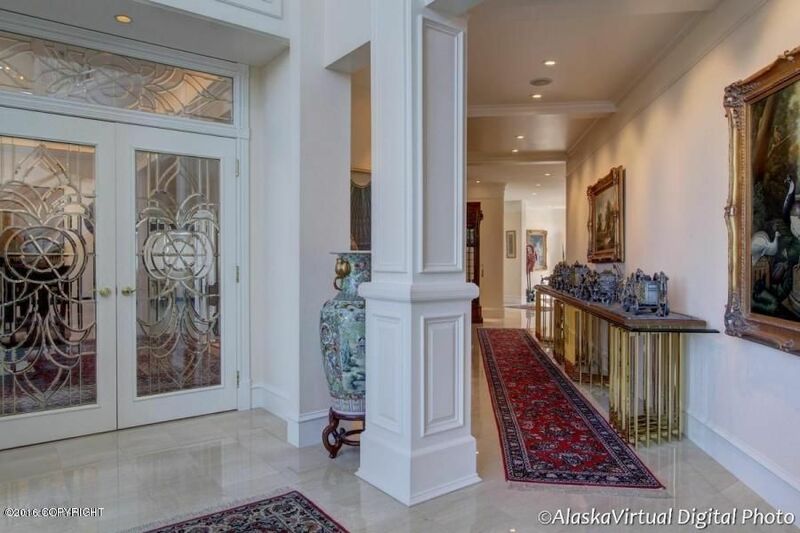 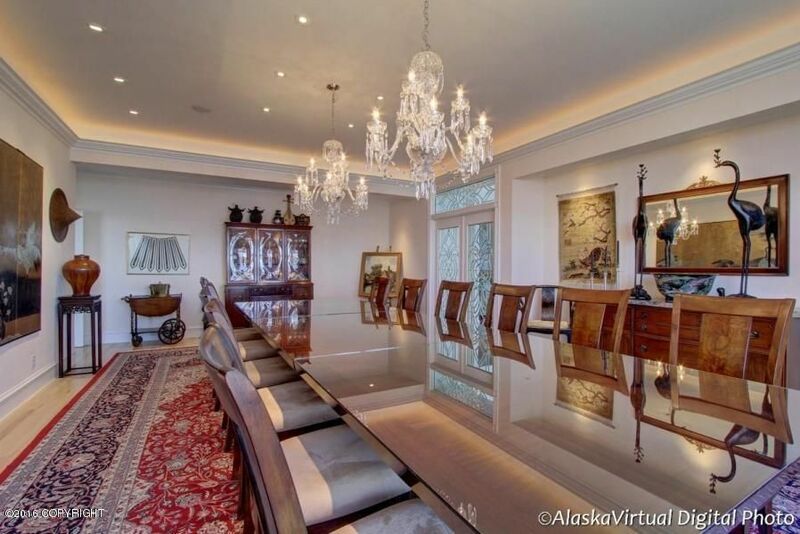 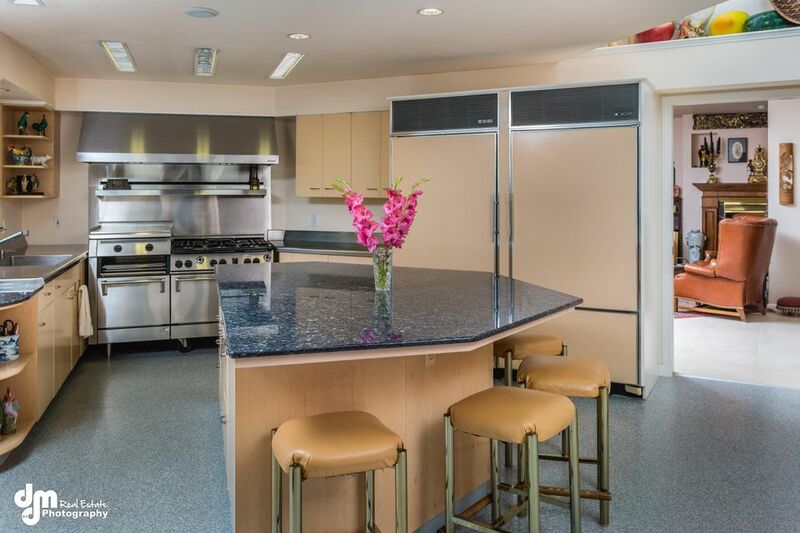 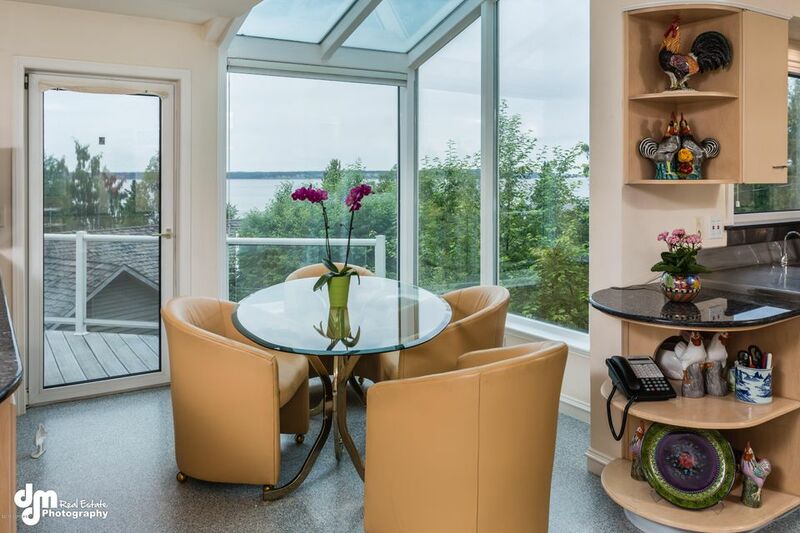 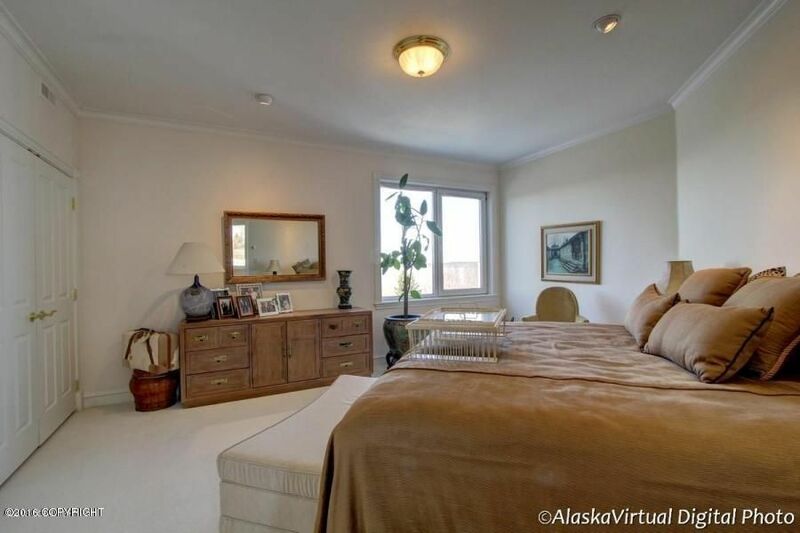 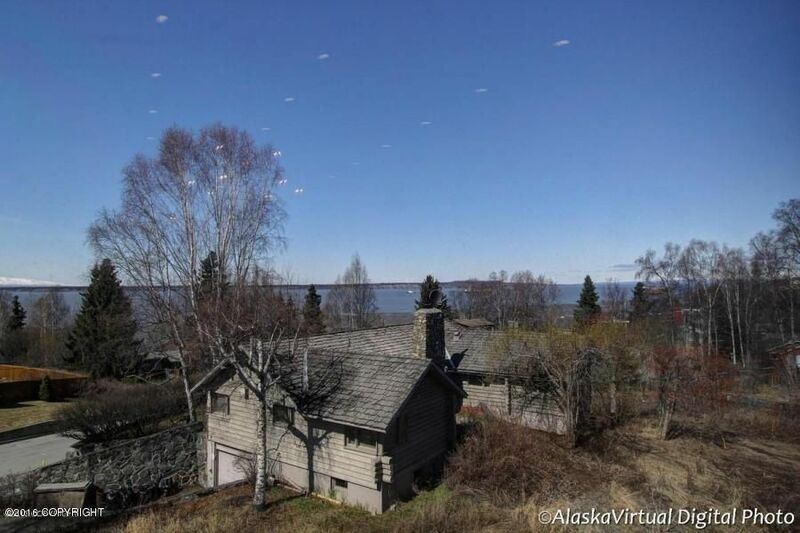 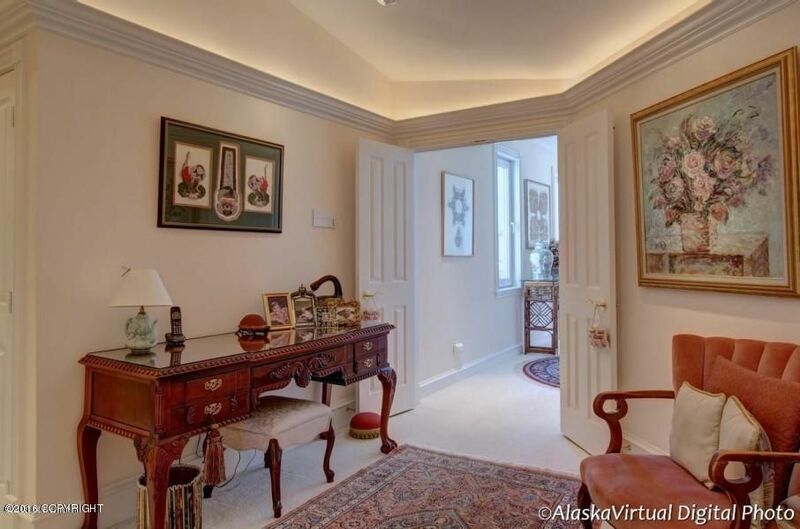 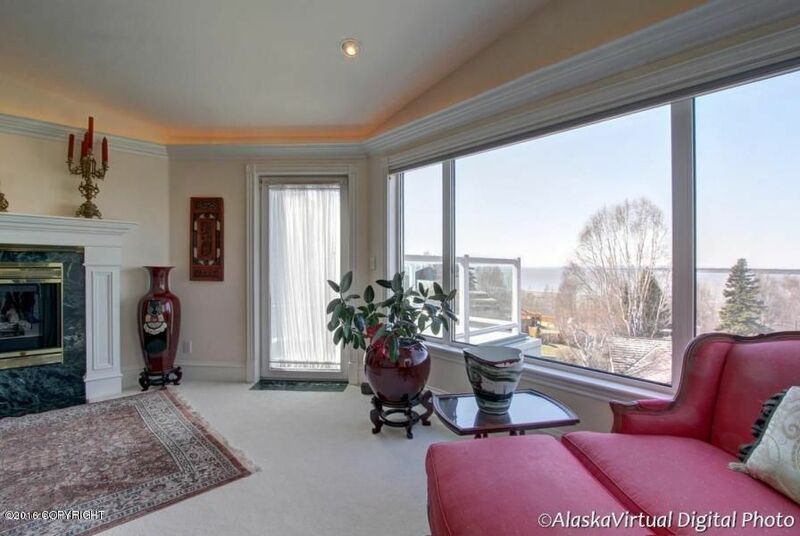 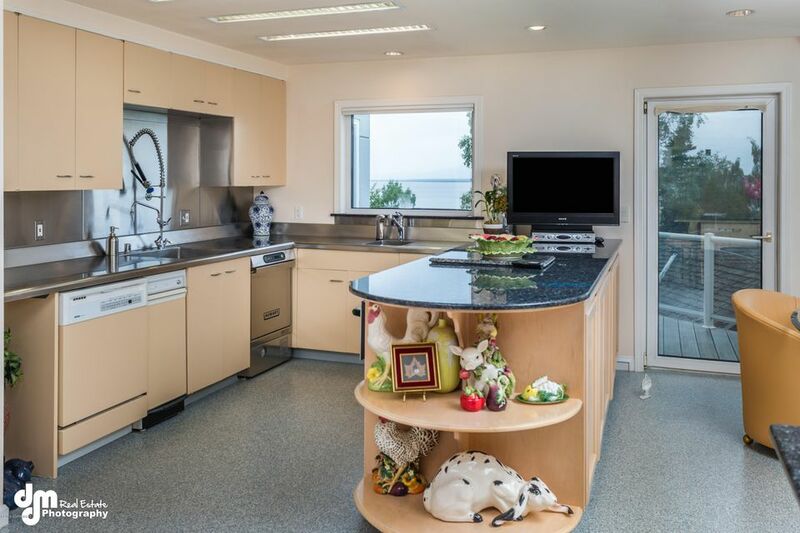 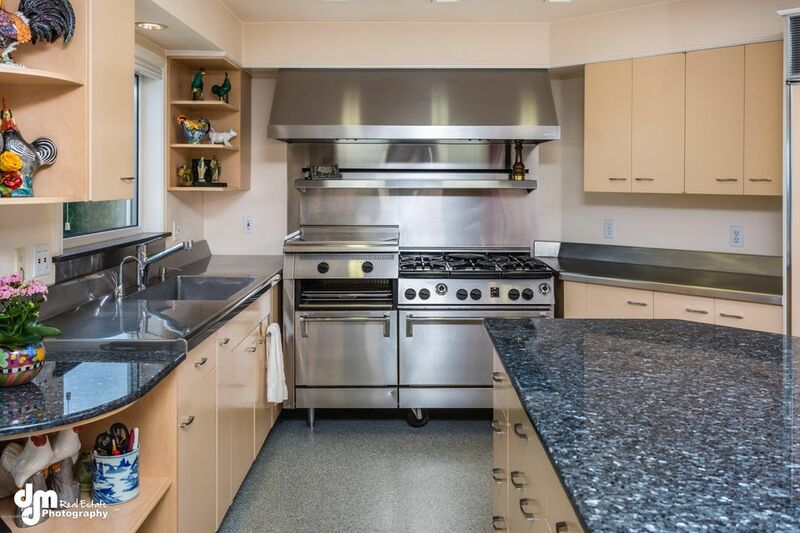 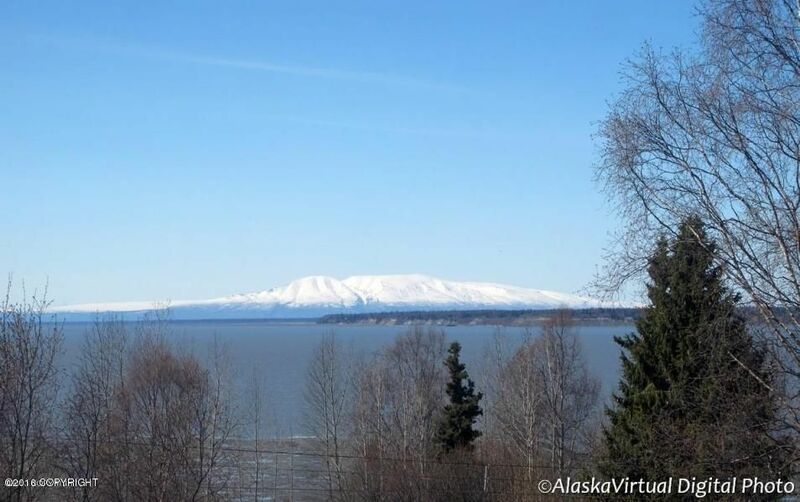 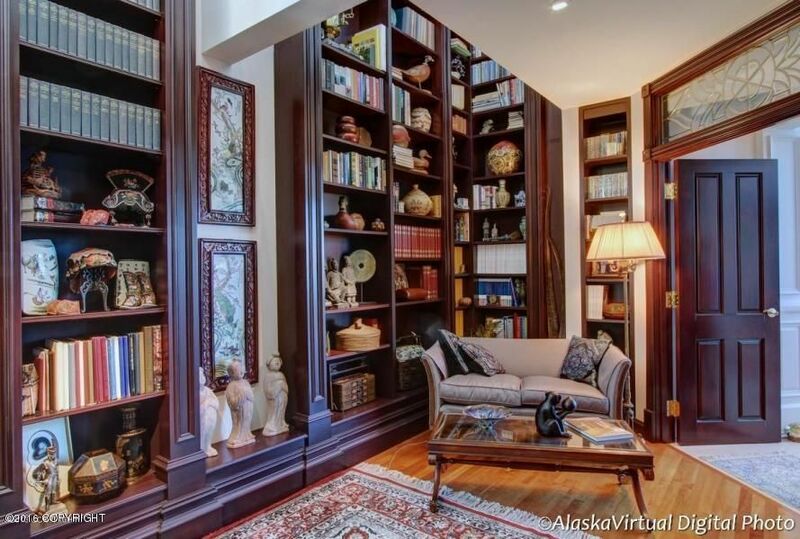 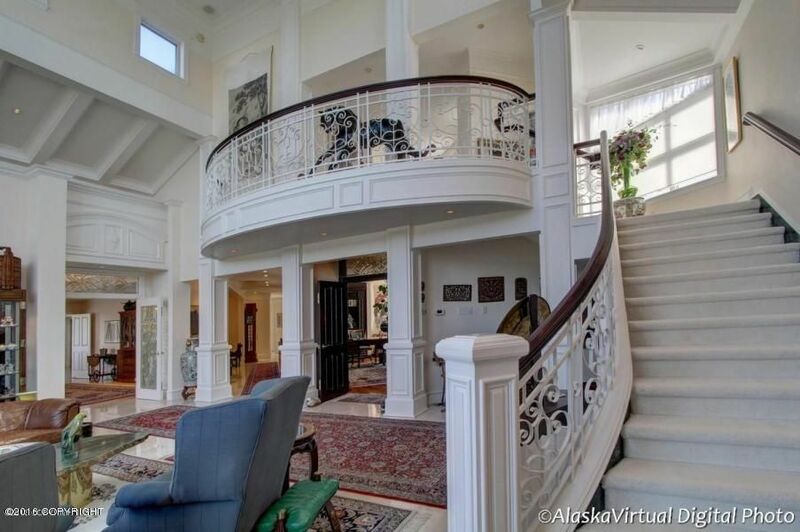 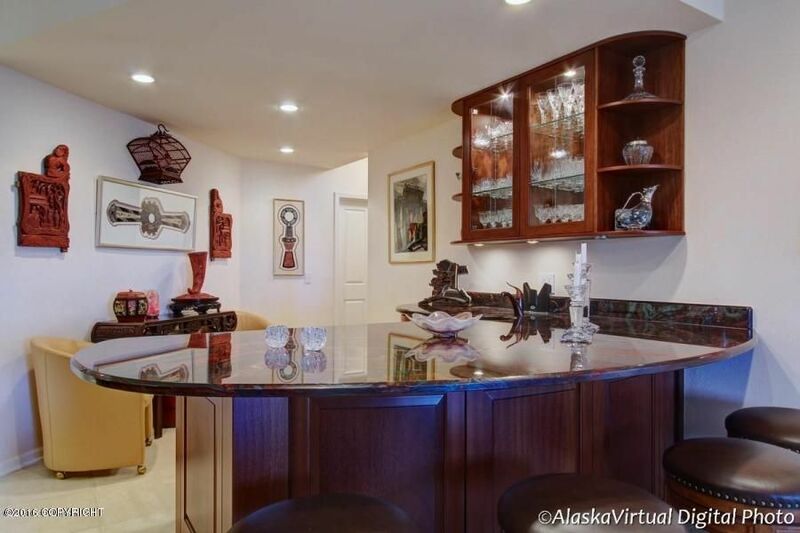 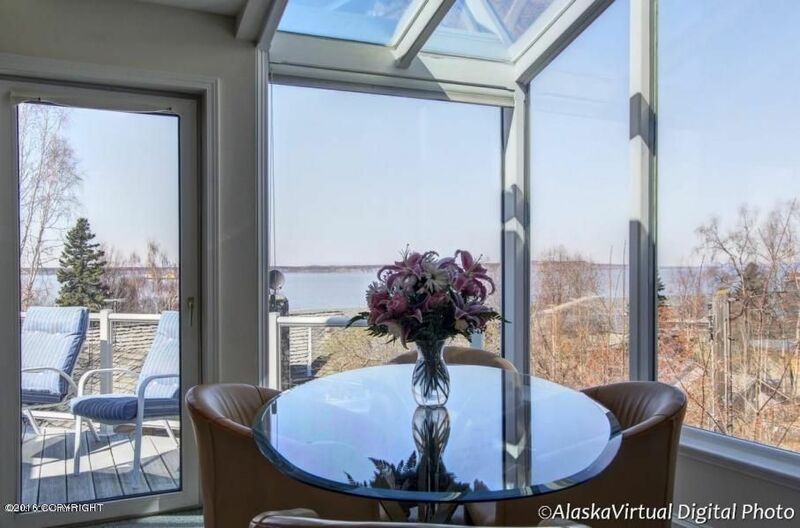 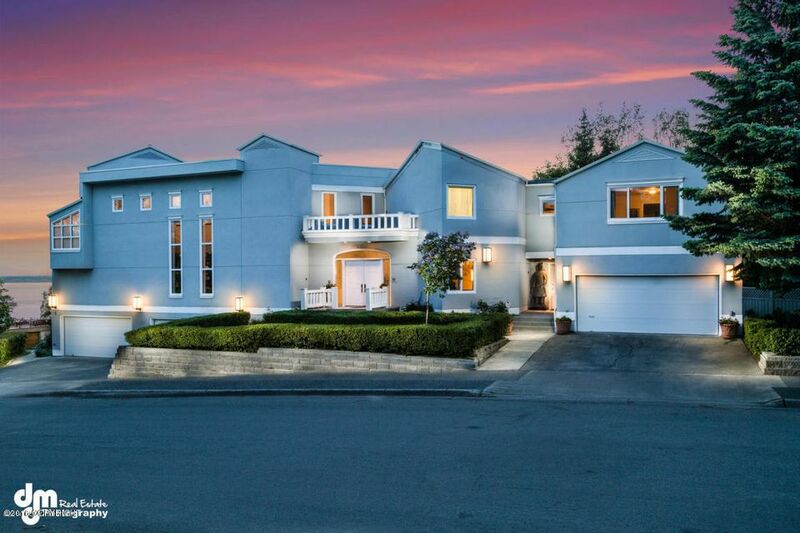 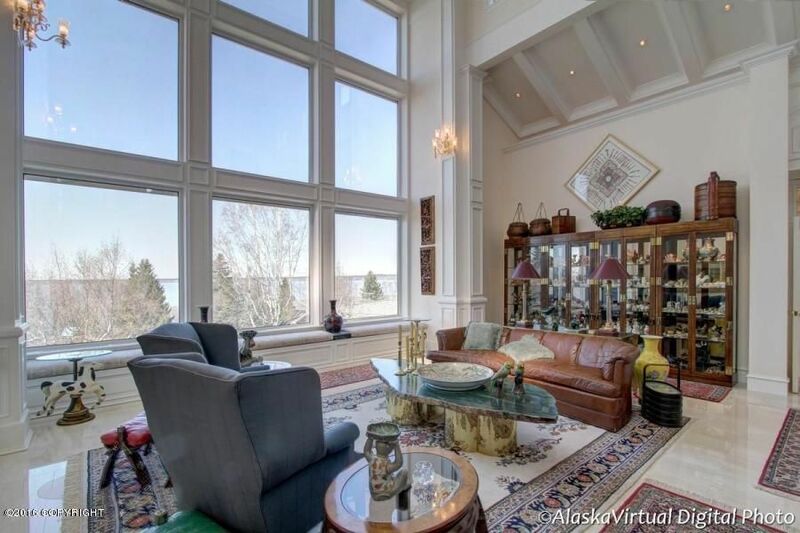 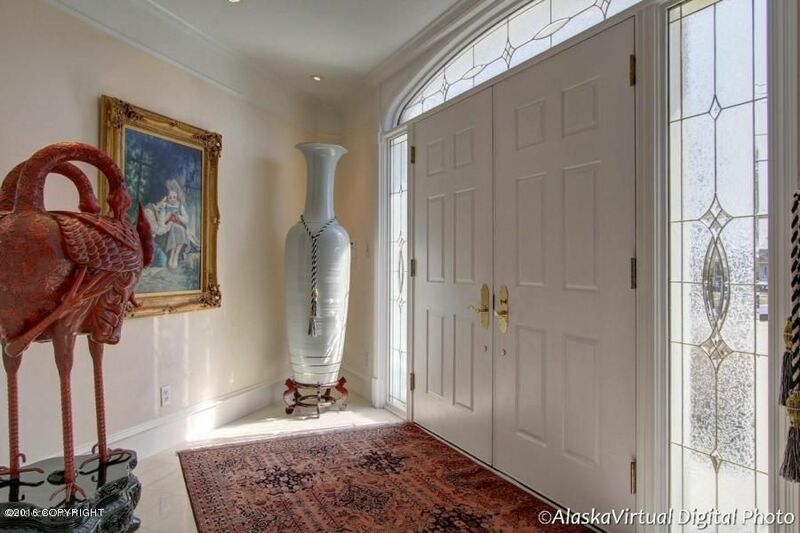 This stunning architecturally distinct property in the heart of Anchorage offers incomparable views of inlet, mountains & city lights. 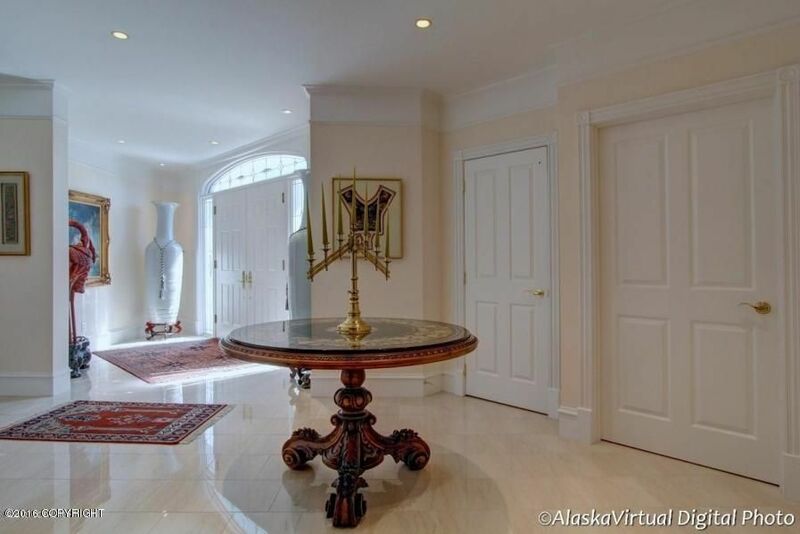 With luxurious finishes from fine marbles & granite to distinguished hardwoods & moldings. 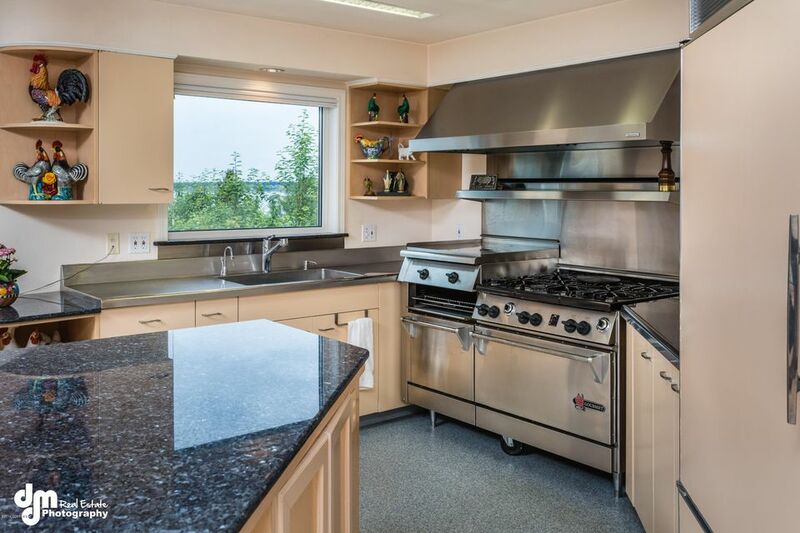 Built to entertain with a balcony fit for a concert and a St. Charles stainless steel kitchen for catering, yet practical for a family. 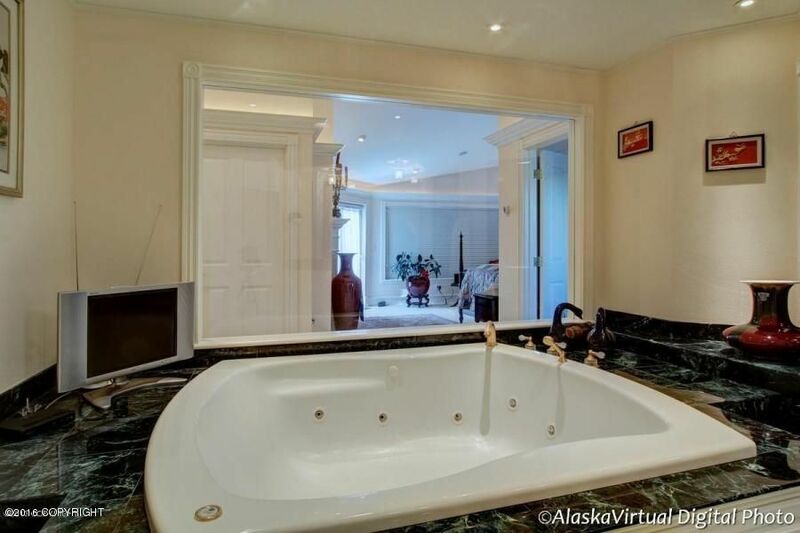 Each bdrm features en suite baths. 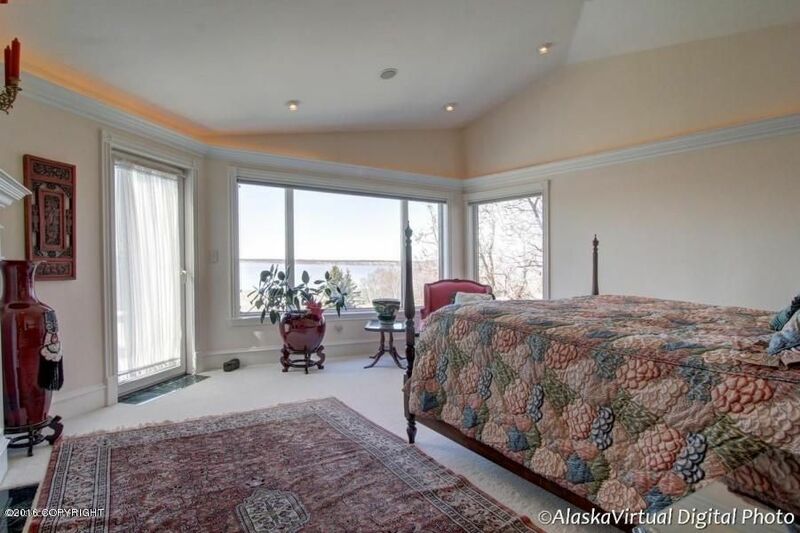 The master suite features a private deck, formal entry, beautiful marble fireplace, his & her walk-in closets plus a dressing room and secure fur closet. 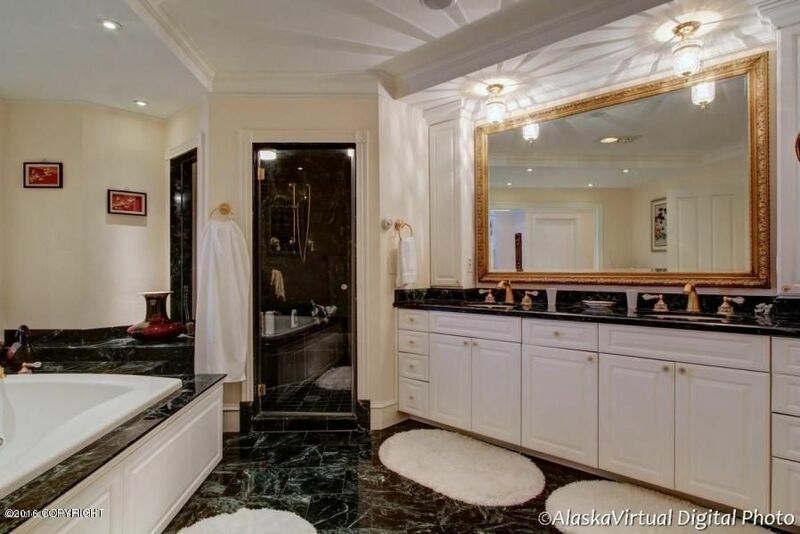 The elegant marble bath offers wonderful large double vanity plus separate shower with multiple shower heads and whirlpool bath. 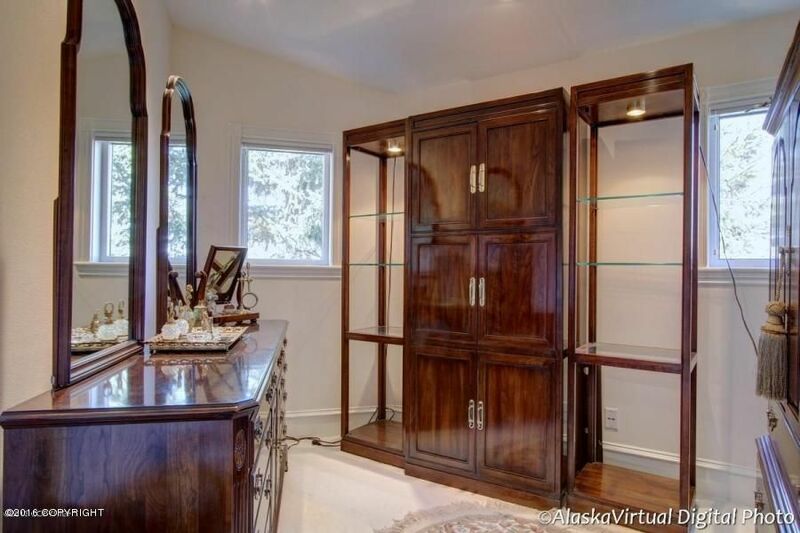 The spacious office offers built-in cabinetry, the warm & cozy family room enjoys a fabulous wet bar, the mirrored dance studio with custom floor invites exercise, air-conditioned wine cellar and pantry with dumb waiter, built -in safe all attest to the thoughtful design of this beautiful home. 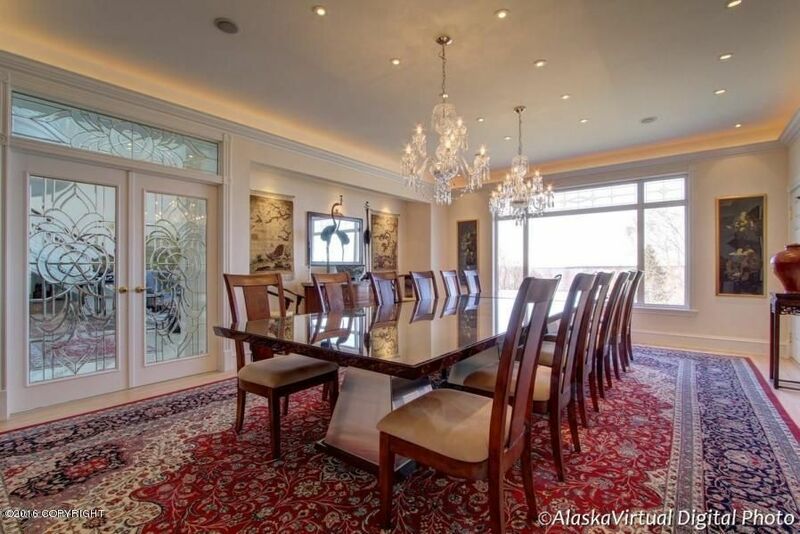 The stunning dining room is fit to serve presidents & CEO's or the most joyous of family celebrations. 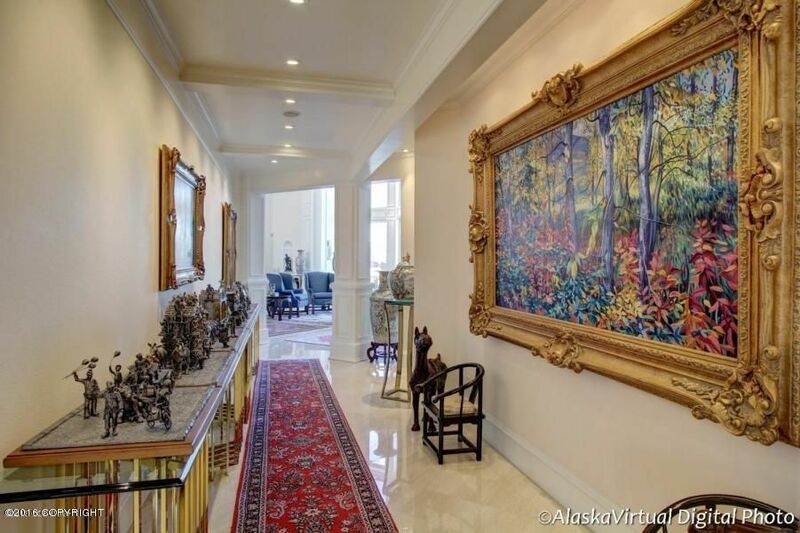 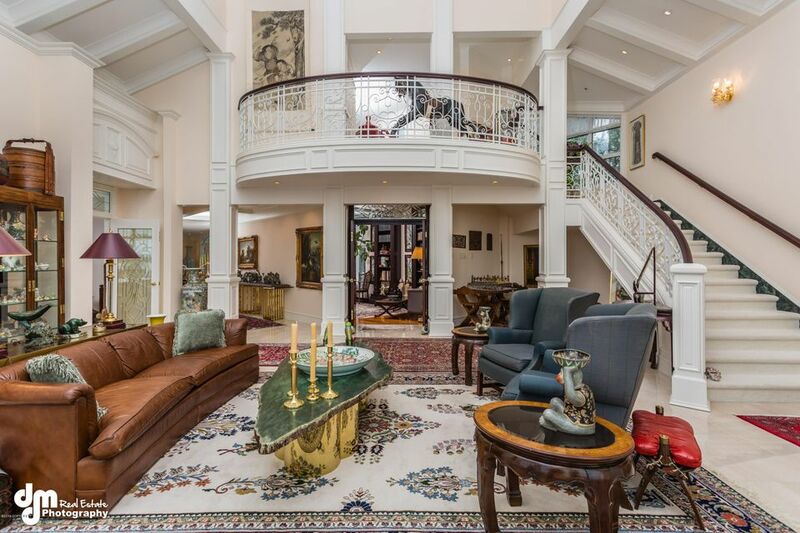 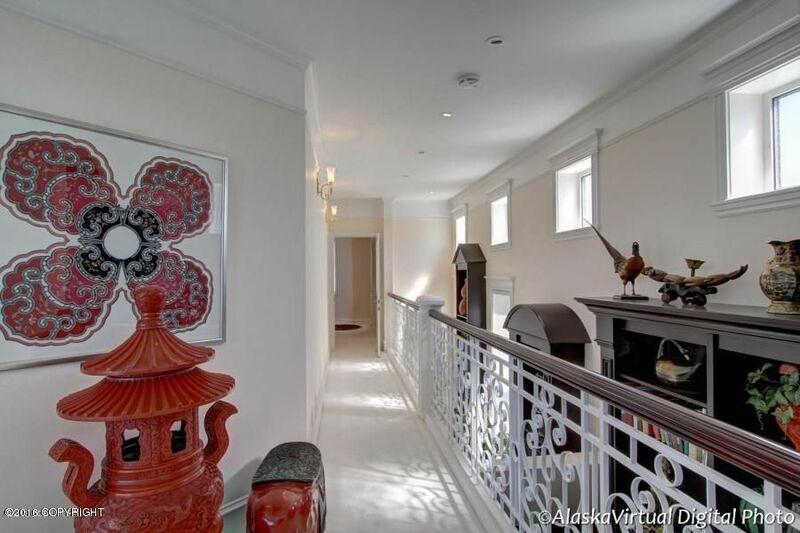 The marbled foyer welcomes all who enter with grand window walls and staircase. 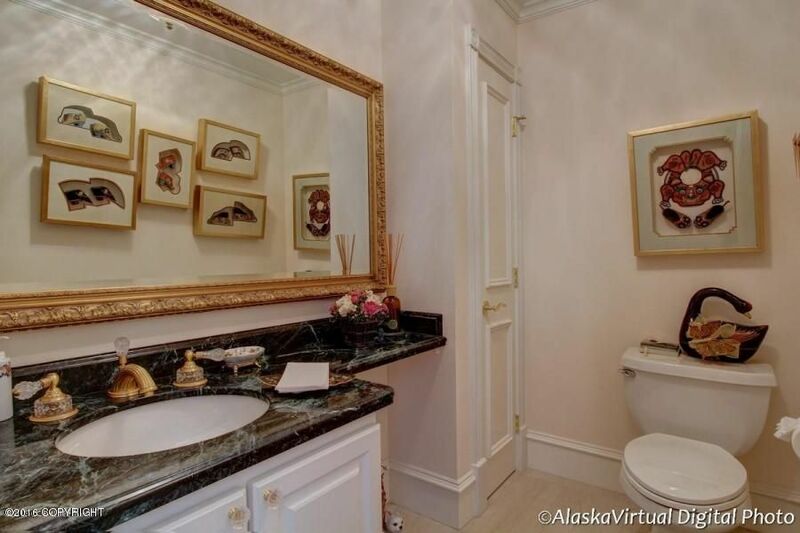 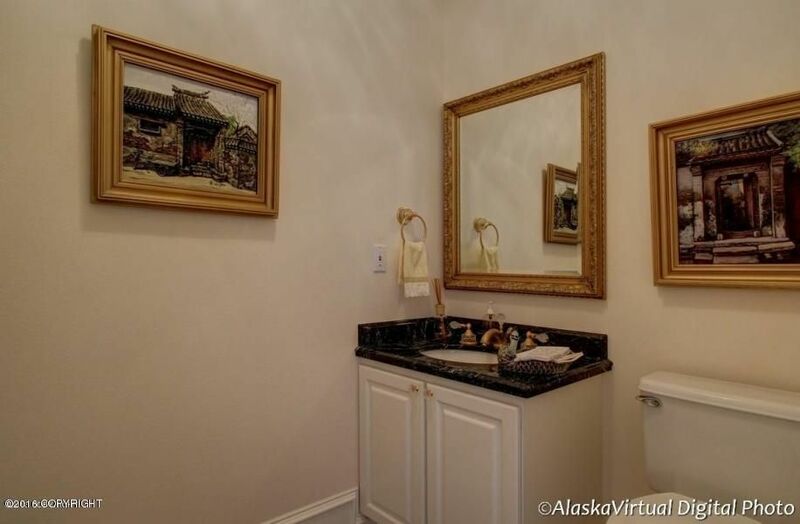 3 powder rooms serve family & guests. 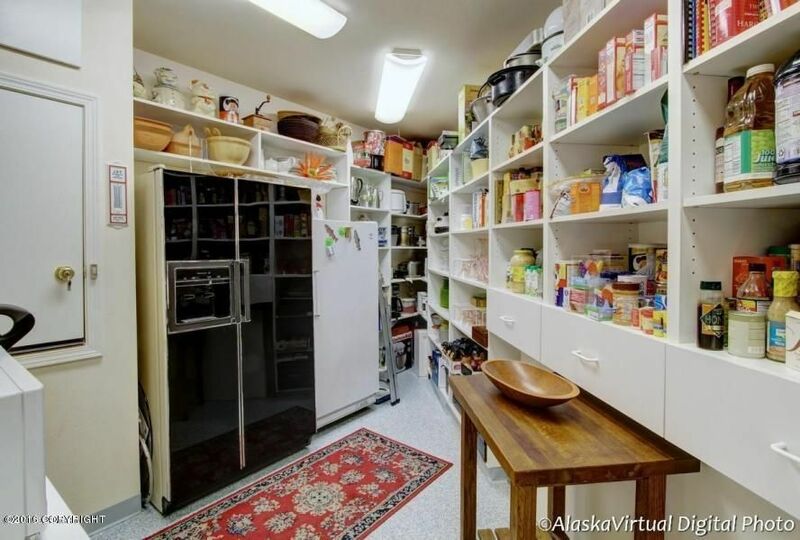 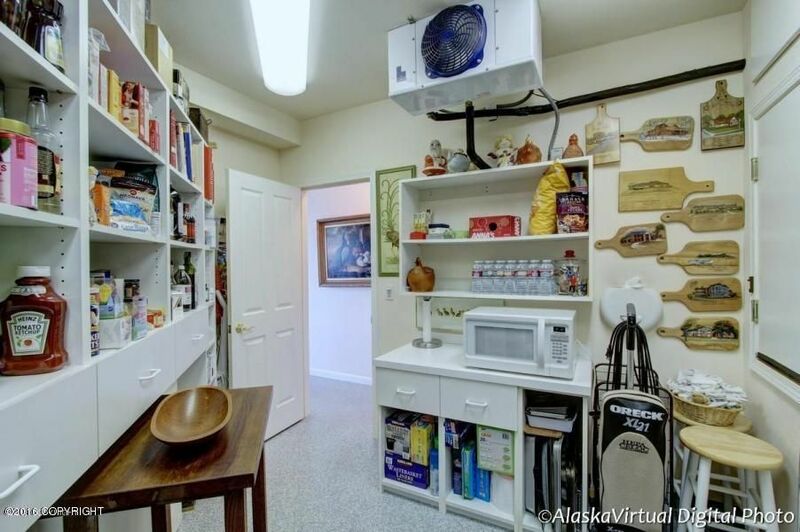 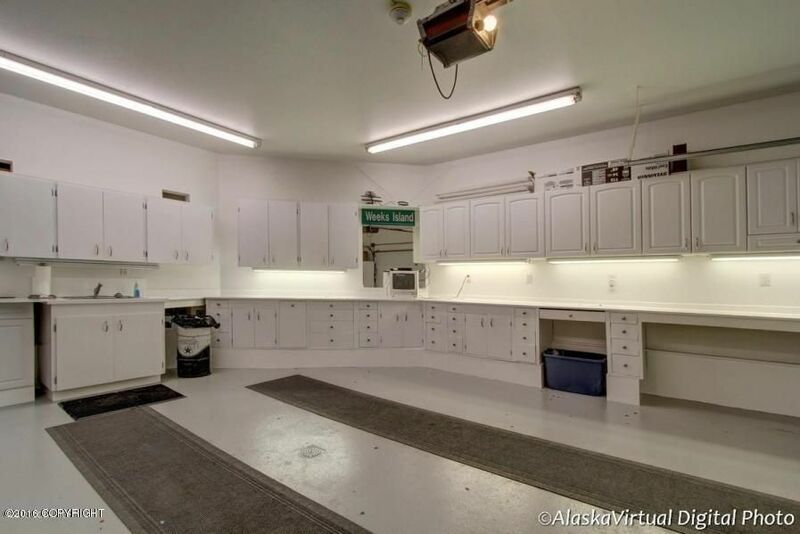 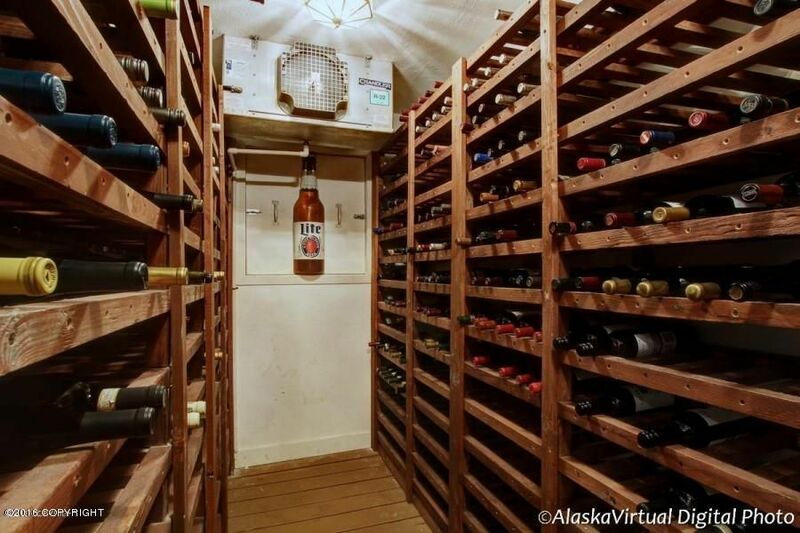 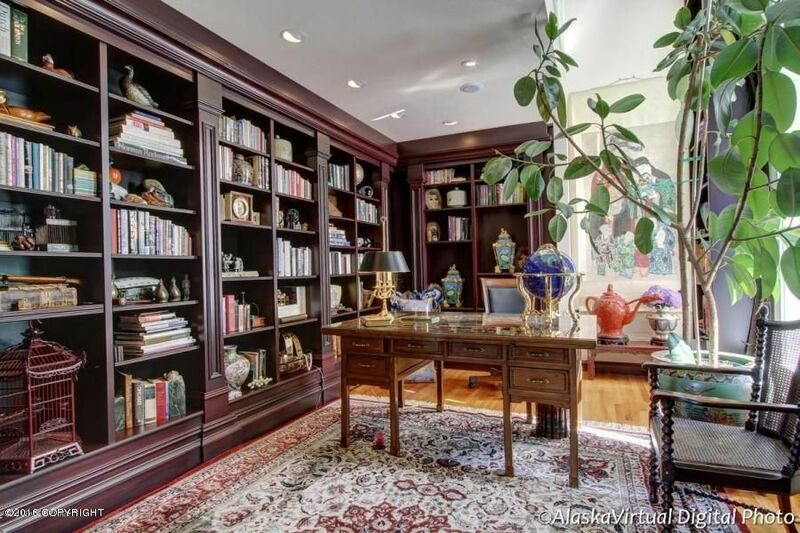 Tons of storage, enormous garages with built-ins. 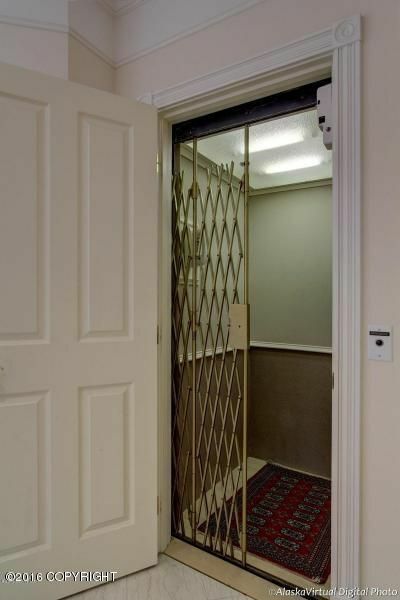 An elevator services all floors. 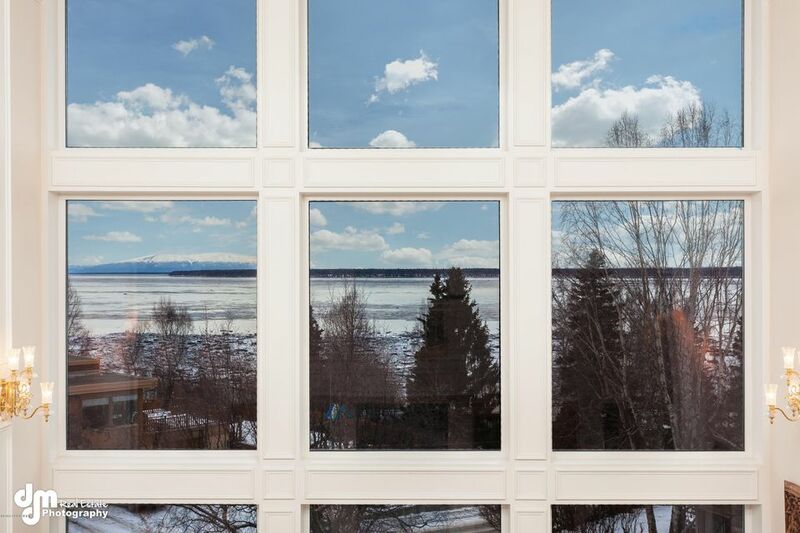 Multiple hot water heaters, forced air and in-floor radiant heat includes heated front porches. 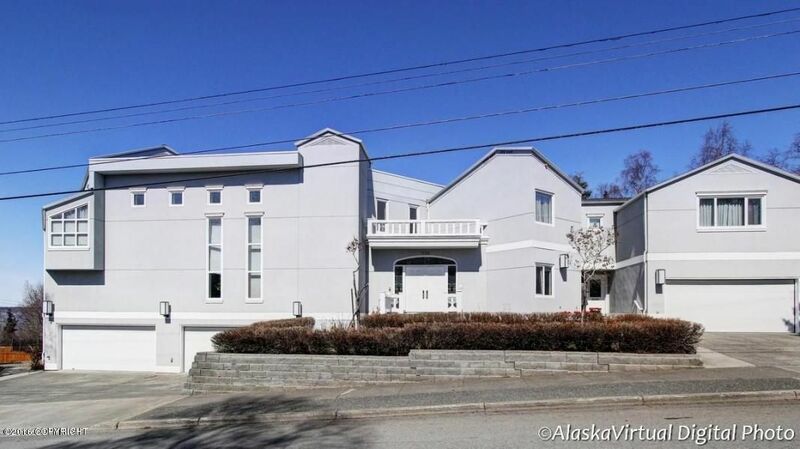 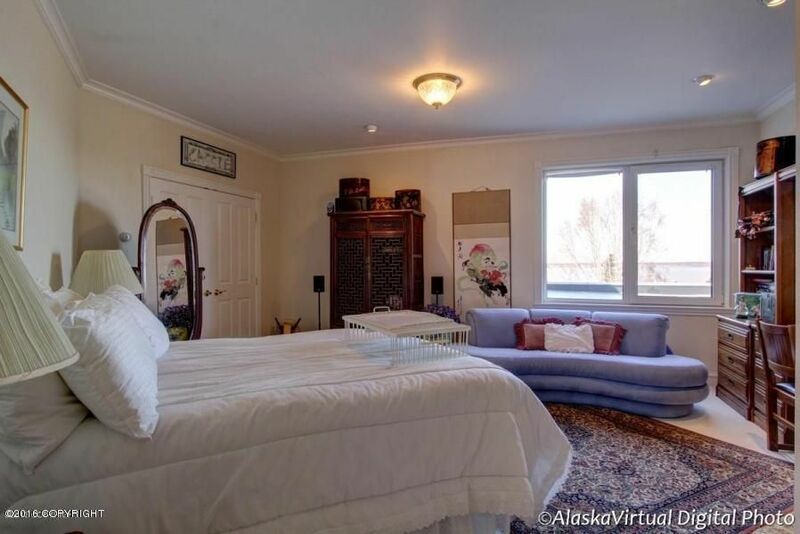 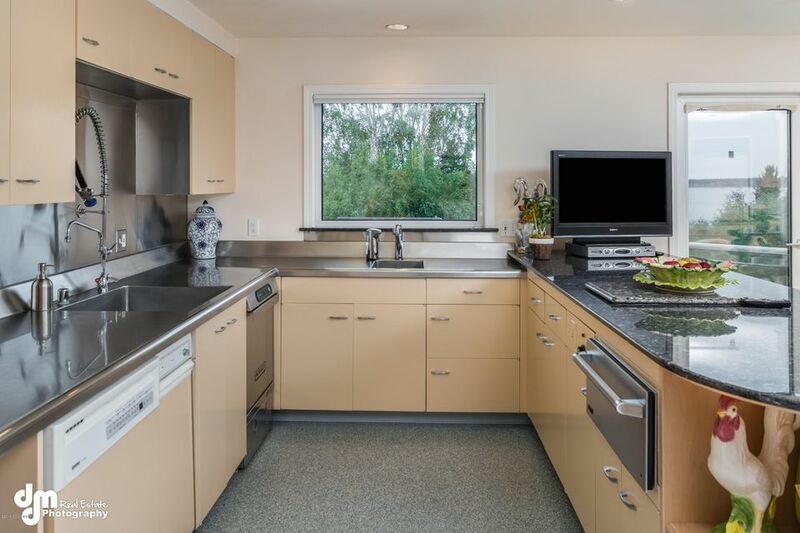 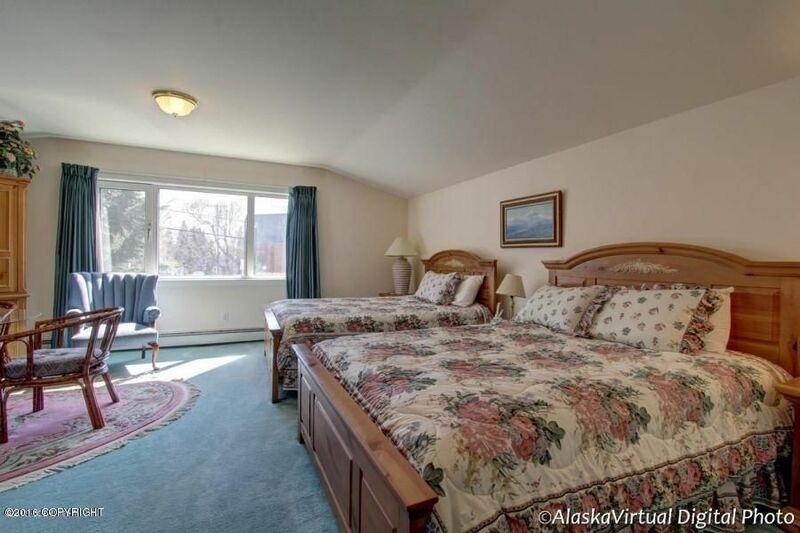 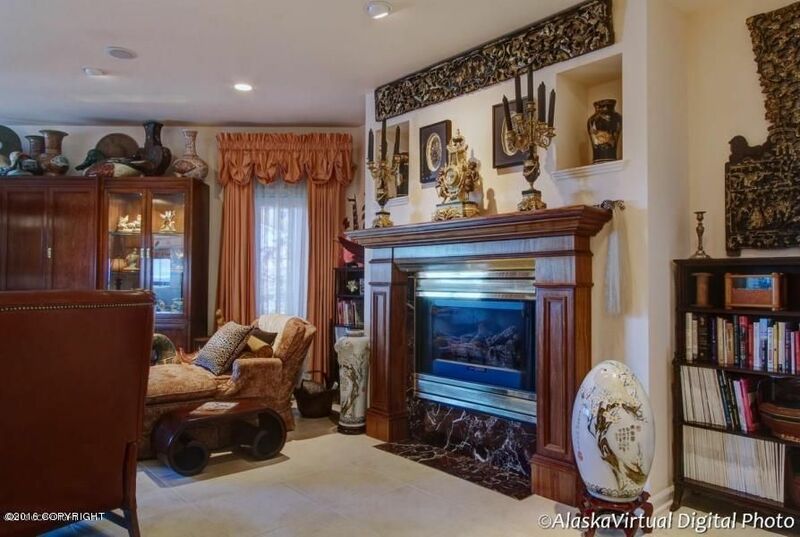 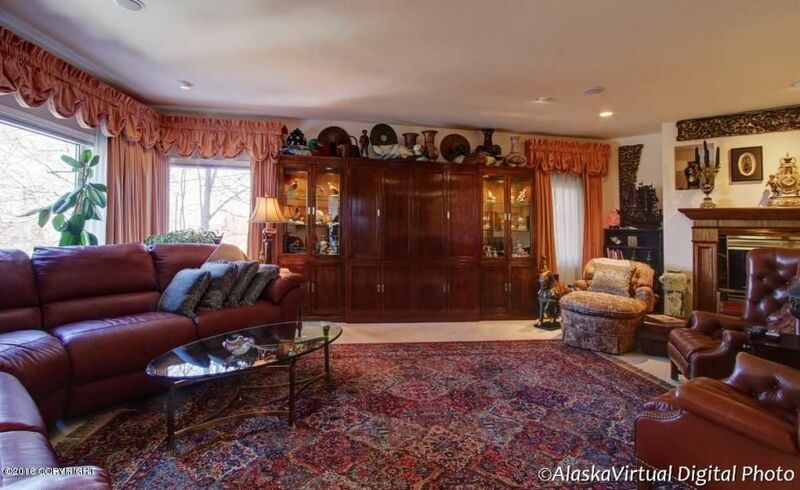 Located only a few blocks from the Coastal Trail and Anchorage's downtown restaurants, this lovely home offers gracious living at its finest.